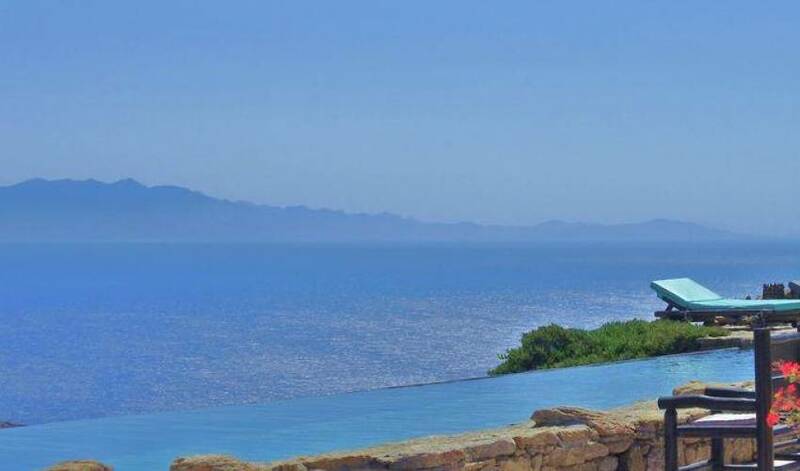 Villa 1417 is a stunningly beautiful property and offers an extraordinary setting for a dream vacation. 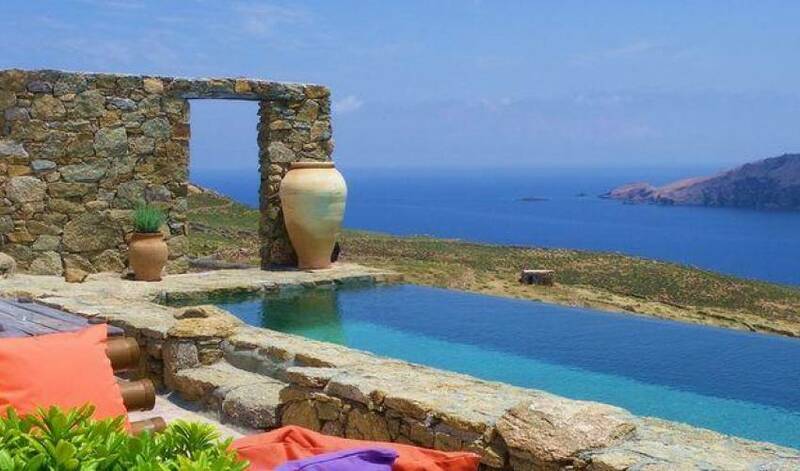 The distinctive combination of breathtaking views, artistic elements, modern amenities, privacy, luxury and comfort makes this villa an exceptional vacation spot. 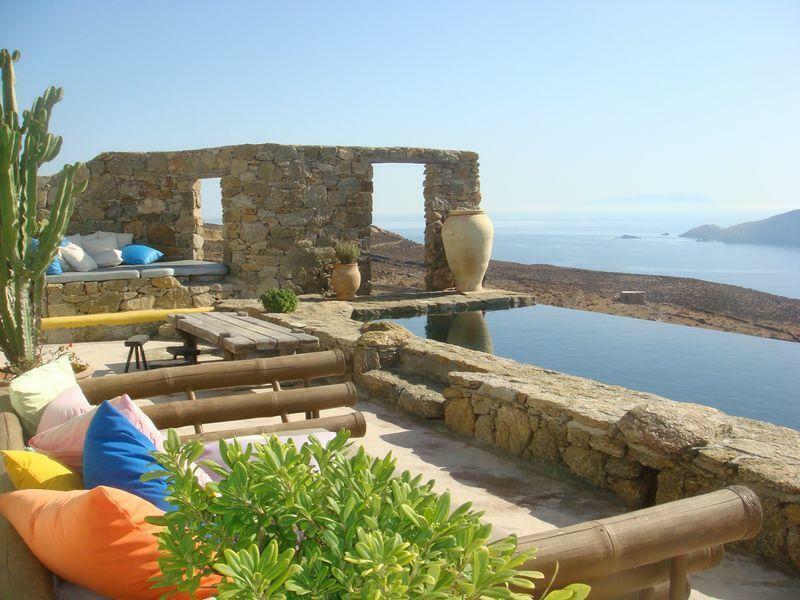 Villa 1417 is carved on a hill in a beautiful, peaceful spot, on the south east side of the island of Mykonos and you are promised breathtaking, panoramic views of the Aegean Sea and numerous other islands (Naxos, Paros, Ikaria, Donusa) as well as the unexploited terrain of Mykonos past. Villa Villa 1417 has been published in major Architectural and travel magazines such as AD ITALIA, THE HOUSE BEAUTIFUL, TOWN AND COUNTRY TRAVEL, CONDE NAST TRAVELER (In the August 2009 issue the villa's pool was voted as the 5th sexiest pool in the world by the editors of the magazine..!!!). 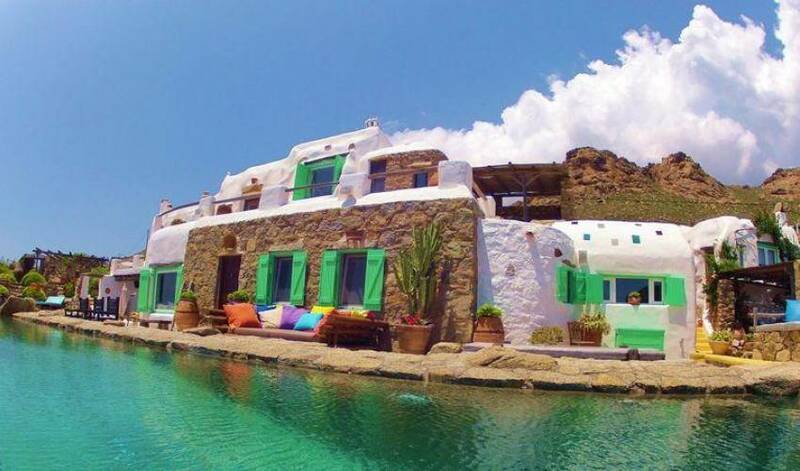 Villa 1417 combines traditional architecture(Mykonian country style) with the luxury of modern conveniences, elegance and comfort. The complex consists of two buildings, the main and the guest house, and an impressive infinity -edge lap pool with considerable depth and rocks in and around it. You are offered many living levels with such visual excitement that you become a part of its spirit. 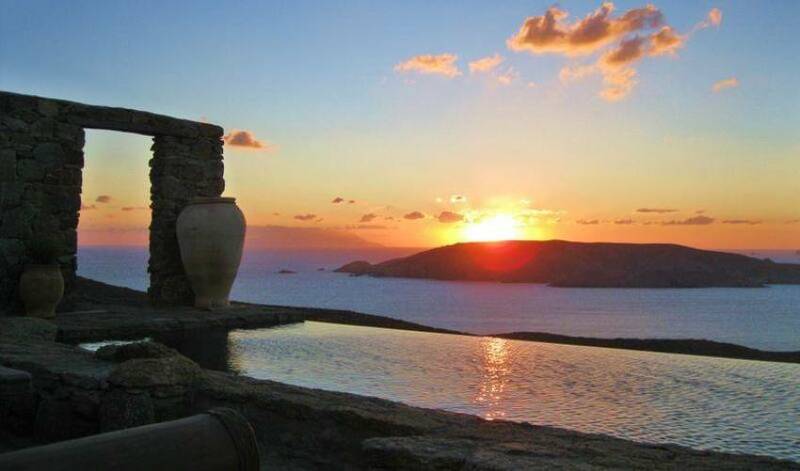 The Villa will dare you to decide where your favorite view is to relax and enjoy the Aegean. 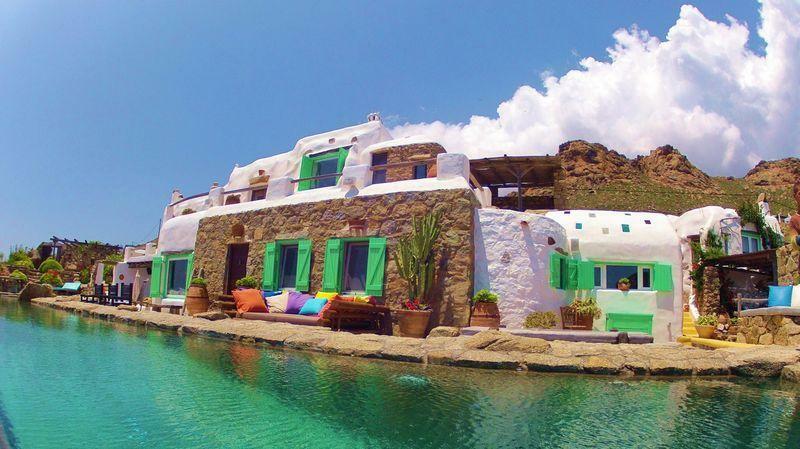 The villa's exterior is very spacious, with a lot of lounging areas around the pool, 3 outside sitting areas under traditional style pergolas and a stone oven/barbeque. 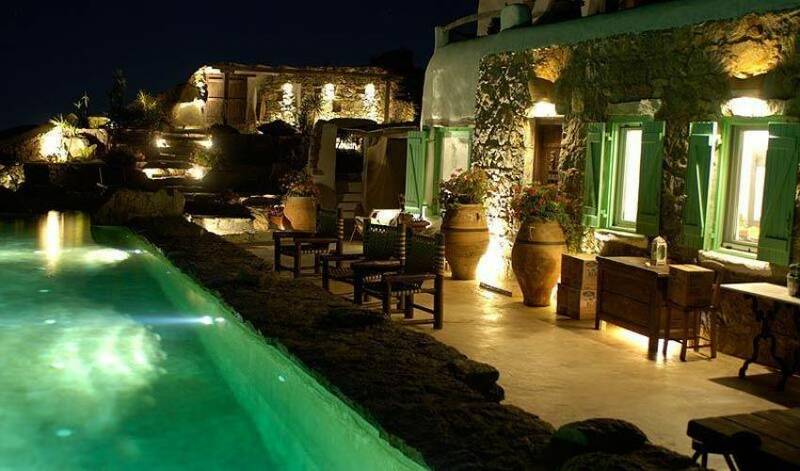 Elegant grounds, in traditional Mykonian style, nestle in secluded walled gardens. 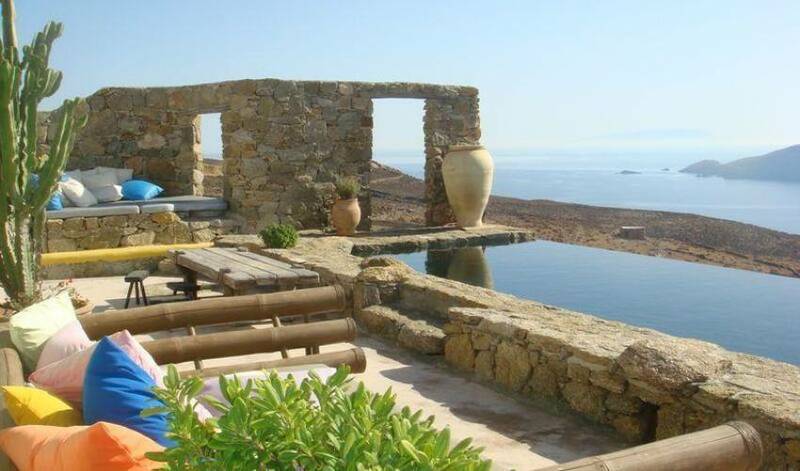 Olive trees, bushes, shrubs and cacti among the rocks, form beautiful landscapes. The deck is equipped with elegant ,wood furniture. 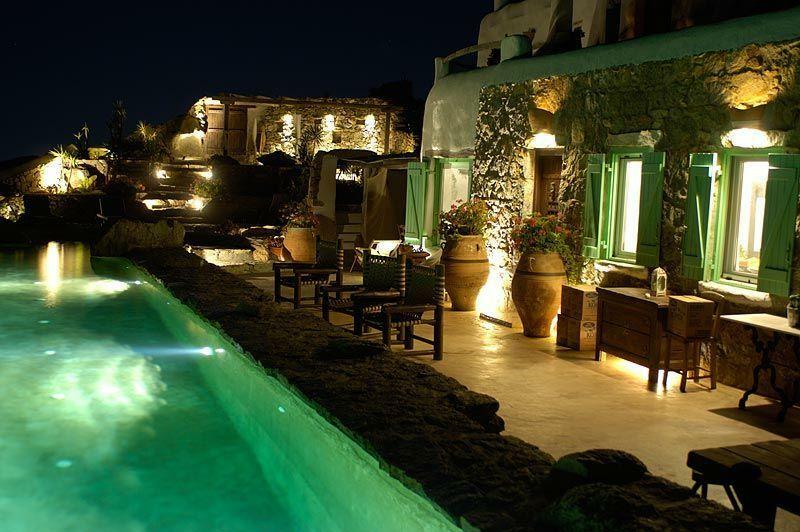 The blend of Mykonian old charm using stone and found wood create visual excitement. 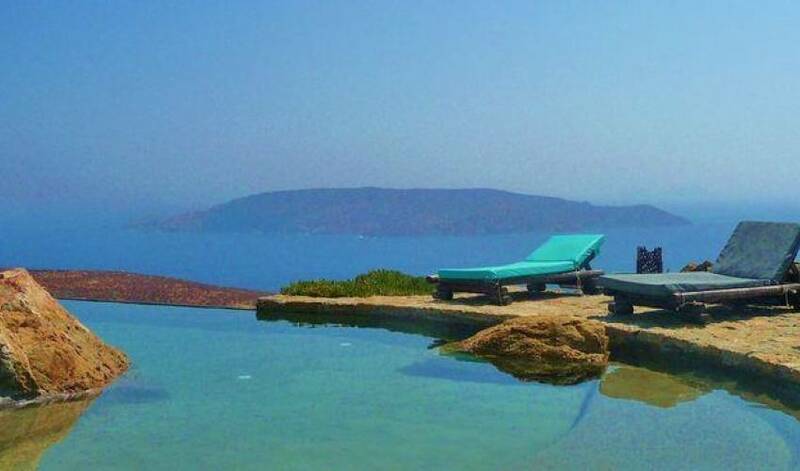 All major rooms open to a patio, balcony or terrace, where one can dine, sunbathe or lounge undisturbed. There are fire places in all indoor and bedroom areas and as well a very functional central heating, making the house very comfortable even during the winter months. 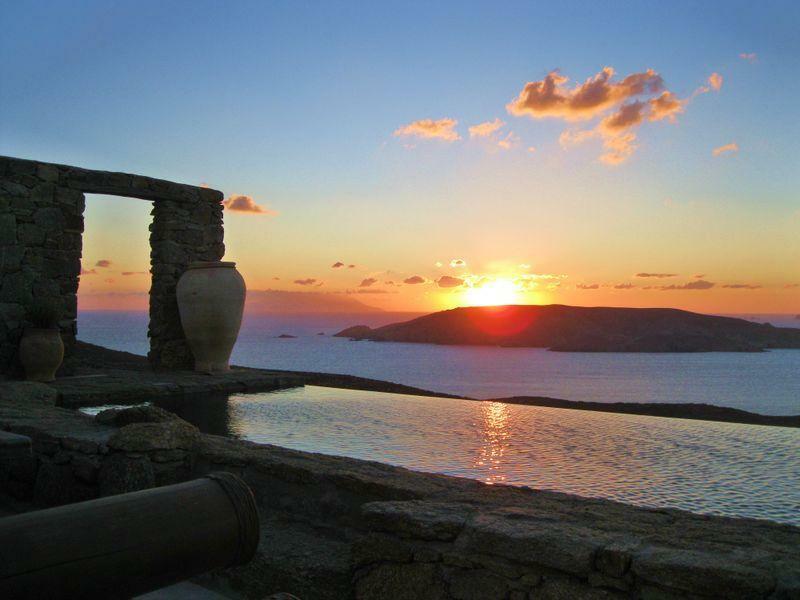 Villa 1417 is tastefully decorated with antiques and art pieces and special attention paid to every detail. The lighting both in the day, but also at night seems almost magic, unexpected and dramatic and makes the house very cozy and romantic and the perfect stage for entertaining.